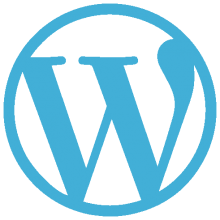 WordPress is an open source platform that allows you to easily build and manage your own website. Its simple interface, countless free plug-ins and versatility makes it the most popular CMS system on the market. WordPress hosting at InterHost Solutions is super scalable. It is not necessary to know the required amount of data storage or monthly visitors. The cloud platform will automatically assign more CPU power and memory if the website requires it (for example when doing an ad campaign). At quiet periods during the day, the platform will automaticcaly reduce the assigned resources. You only pay for what is effectively needed. Enter your email below and start right away with our free trial. No forced purchase requirement aftwards. Your WordPress application will scale automatically with the number of visitors received. It is possible to limit the upper and lower limits to prevent unexpected bills. Our redundant powersupply and performance driven hardware ensures your WordPress website is fast and stable. These low loading times ensure that both visitors and search engines are satisfied. WordPress is by far the easiest CMS to use. You don’t need to know how to code to make a nice website. WordPress’ control panel allows you to easily customise the look and feel or the structure of your website. With a large community of WordPress users, there are a lot of cheap assets you can pick up from the internet. Professional themes and plug-ins can be found and installed easily. Encountering problems? Google your question and let the WordPress community help you out! The CMS is built on standard-friendly code, optimized for better speed and SEO results. Most themes are mobile-friendly and responsive so your users can navigate your website no matter the device they use. WordPress powers 27% of all sites across the web.